It’s already March and today is the first day of our Online Fundraising Auction. We want to encourage you to log onto the Bidding for Good website to bid on all the gift cards, summer camps, sports tickets, and more. The online auction committee has worked incredibly hard getting donations and we hope that this fundraiser is successful. Online bidding is live March 4th–10th. Our Teacher Raffle was a great success, we raised over $3400! Thank you Katie Britton and Alison Kapilow for again organizing this fundraising raffle. And thank you to the Zervas Teachers and Staff for offering these fun experiences. All the money raised goes directly to the PTO and we use it to fund both Zervas community-building events and school curriculum enriching programming, like Teacher Mini Grants and the Creative Arts and Sciences program. We hosted our 3rd Annual Family Game Night last month. Eureka! brought in the games and staff so that Zervas families could enjoy a night together playing all kinds of new and unique games. Thank you to Alicia Collins and Ginna Martin for organizing the event. And thank you to our volunteers that helped with setup, cleanup, and the pizza table: Pisey Burgess, Eileen Imada, Darlene Nedeljkovic, Daniela Mackinnon and Chris Detjen. We loved seeing all the hearts that came into school during our Heart Health Week. Students did a great job thinking up all the things they do to keep active and healthy. Thank you to the Zervas Walks Committee for organizing this activity. Lastly, we are inviting all Zervas parents and families to attend the next School Council Meeting onTuesday, March 26th from 6:00-7:00pm at the Zervas Library. There are changes to the Newton Public School’s Equity Policy that will go into effect next school year. We will discuss the changes and what effect they will have at Zervas. Dr. Beck, the PTO Board, and the School Council will all be there to help present and answer questions as we talk about this new policy and the 2019-2020 school year. We hope the groundhog was right and spring really is right around the corner. In the upcoming weeks, you’re going to start seeing email blasts and letters home about different fundraising initiatives we have at Zervas. In addition to running the Kindergarten Soccer program, which is our single largest fundraiser, we hold several community-based fundraisers. We thought it might be helpful to lay them all out in one letter so you know what’s coming. Next week, your student will come home with a sheet filled with teacher and staff led activities, parties and lunches that your student can have the opportunity to win. Each student is given one free ticket to enter into the raffle-style drawing. Additional tickets can be purchased for $5 each and all money raised goes directly to the Zervas PTO. Please read the letter closely and don’t be late turning in your ticket(s) by the January 30th deadline! Students love winning these activities and the PTO is grateful to the staff for their generosity planning and hosting. The Zervas Online Auction committee is busy contacting restaurants, summer camps, gyms, salons, grocery stores, party venues, and many more local businesses to get donated gift cards and services for us to auction off during our annual online fundraiser. Businesses donate to us and we sell the items to the highest bidder with the profits going to the PTO. The online-only auction will be live on the Bidding For Good website March 4th-10th and bidding will be brisk. Please watch for the emails announcing the start of the auction and spread the word to your non-Zervas friends too, anyone can bid. This might be our most fun fundraiser. The Zervas school will be turned into an adults-only party on Saturday night, April 27th. Book your babysitter early! The festive night (theme to be revealed later) will be filled with food, drinks, dancing and fun. There will also be a silent auction table which will have many good things to bid on: there will be Zervas-Community items like parties and dinners at Zervas family houses, sports tickets, special packages, and more. Tickets to the party will be sold in advance so watch for the letters and don’t be late with your RSVP. All profits from the ticket sales and silent auction go to the Zervas PTO. Come have a fun night with your Zervas community while supporting the PTO. As always, we are both available to answer any questions and welcome your comments. And if you’re looking to get involved with any of these fundraising committees or have an item you would like to donate, please email us at pto@zervaspto.org. What an eventful October we just had with so much happening in the Zervas Community. We are struck by all the faces we are seeing at events and delighted by the strong turnout at our community events. We started the month with a very well-attended PTO Coffee with Dr. Beck. We invite you to attend the next one this Friday, November 2nd in the cafeteria after morning drop-off. We won’t have a formal Q+A with Dr. Beck, but this will be a nice opportunity to grab some coffee, chat with parents and get to know your PTO. We have a lot of people to thank in this newsletter so bear with us. We want to start by thanking Suzanne & Mike Afergan for hosting the Zervas new family pizza party at their house. We had a nice turn out of new families who had a lot of fun playing in the yard and chatting with each other. Suzanne Chow, Elisandra Lopes and Alicia Collins hosted a Zervas Buddies Play Day at the Franklin Park Playstead. It was a fun afternoon where kids enjoyed some playtime together and parents got the opportunity to chat and get to know each other. We can’t wait to start seeing all the new spirit wear around Zervas. Thank you to Sera Miller for organizing the fall Zervas spirit wear on-line sale. Wendy Feiner, Amanda Zurick and Ginna Driscoll did it again. They planned a great Destination Dinner evening, giving the Zervas adults a chance to get out. We had a record turnout of guests which made our volunteer dinner hosts up their game to feed them all. Thank you to Katherine & Roger Kranenburg, Mira & Jeff Woods, Heather & Allen Sussman, Katie Britton & Allan Telio, Jessica & Aaron Davis, Alison & Craig Kapilow, Merrill & Lee Barnes, Justine & Kyle Mikulis, Amy & Bill Massey, Krystle & Joe Benedict, Mindy & Glenn Gomes Casseres, Christine & Steve Klaus, Maggie Schmidt & Ken Danila, Santhi Gollapalli & Jai Venkatraman, Mali Raman & Madhu Natarajan, Kate Grundy & Adam Lewis, Cara Attanucci & James Miner, Suzanne & Mike Afergan, Michelle & Matt Zisow, Kirsten Fertuck & Chris Payton, Jenn & Neil Martin, Karen Kipman & Ronen Zoran, Suzy Peled & Ori Spigelman, Daniela & Darren Abrahamson, Lee Blum & Federico Acher, Monica & Evan Richardson, and Andy & Lisa Silverman for your imaginative themes and delicious cooking. Thank you to Becky & Dari Mozaffarian for hosting the cocktail party and Jen & Matt Rhodes-Kropf for bravely hosting dessert. The Halloween Party proved to be yet another fun night. We are ever so grateful to our creative and hard-working coordinators Jennifer Glennon, Asa Priddis and Barbara Talvitie. They went above and beyond transforming our cafeteria and gym into a frightfully fun party place. They could not have pulled it off without an army of volunteers, thanks to Pisey Burgess, Rina Yosubash, Eileen Imada, Karen Burzdak, Patrick Timmons, Elisa Derby, Jackie Nazoliny, Darlene Nedeljkovic, Kelly Olesen, Lori Unver, Utku Unver, Kirsten Fertuck, Katie Davenport, Julius Starkman, Denise Langhammer, Kate Cox, Aimee Sprung, Kamryn Eddy, Cathryn Freid, Scott Friedman, Stephanie Berzin, Saumya Rao and all those who pitched in the night of. Thank you to our SEPAC liaisons Talya Meltzer and Adi Barlev-Ehrenberg who created and organized the Quiet Room which was an important oasis to have in the middle of this crazy-fun event. We want to thank ZASP for letting us use their spooky inflatables. And a big thank you to Salon Capri and Amy & Nick Penna for generously sponsoring the Photo Booth. It is nice for our kids to have a take-away photo to remember the night. Thank you to our Social Action Committee Chairs, Jackie Washington and Tanya Ianniello, for coordinating the UNICEF trick-or-treating boxes. We hope your kiddos were able to collect some money for UNICEF. Don’t forget to return the money to school to give to their classroom teacher before November 8th. Now mark your calendars for some upcoming November events that you don’t want to miss. The Zervas Variety Shows will be held on Thursday, November 8th for Kindergarteners through third graders and on Thursday, November 15th for fourth and fifth graders. Both shows begin at 6:30 p.m. in the Zervas cafetorium. Come support our Zervas dancers, singers, musicians, actors, comedians, and more. Lace up your sneakers for our Thanksgiving Walk-to-School Day on Friday, November 16th. Join Zervas families for an engaging evening of stories, games and songs at Dynamic Diversity Night on Thursday, November 29th at 6:15 p.m. Come meet new people and strengthen community connections. As always, we welcome your questions, comments or suggestions. We survived getting back to school! We hope you all are settling into the fall routines of school, homework, fall sports, evening meetings, and making lunches. We hope your students are adjusting well to the new school year. A warm welcome to all of the new Zervas families. Thank you for such strong participation in paying your Zervas PTO Dues! We have over 60% participation and it’s not too late if you haven’t yet donated. Donate through My School Anywhere (Our Store link) or leave a check for $30 in the PTO mailbox in the school office. We are still collecting those green committee volunteer forms as well. Let us know how you want to get involved with the Zervas PTO. And now some important and fun events coming up in October. We would love to see you all at the PTO General Meeting on Wednesday, October 10th at 7:00pm at Zervas. This meeting is a great opportunity to ask questions of Dr. Beck and the PTO Board and learn more about how the PTO uses the funds it raises to support our school curriculum, staff, and community. Join us to learn more as well as find out how you can become more involved. Destination Dinner, our adults-only community-building event, takes place on Saturday, October 20th. Don’t miss out! The deadline to sign up is October 16th so reserve your tickets now by using this link. We kick off the night with cocktails and appetizers at the home of Becky and Dary Mozaffarian. Then we divide up into smaller groups for dinner at the homes of local Zervas families. We meet up again as a big group for dessert at a surprise home that will be revealed that evening. It is a wonderful way to get to know other Zervas parents better and make new friends! Finally, the month ends with one of the most anticipated activities for kids, the Halloween Dance. For those of you who haven’t experienced it yet, children (and many parents) come decked out in their costumes and enjoy pizza and desserts, DJ-led dances and games in the gym, and photobooth and quieter activities in the cafeteria. Friday, October 26th from 6:30-8:00. We have a lot of people to thank for helping us get the 2018-2019 school year up and running smoothly. Thank you to Suzanne Afergan for reaching out to Kindergarten and new families this summer. She organized two playground playdates, which were very well-attended despite some rather wet weather. A special thanks also to Sanskriti Singh for organizing meals to welcome back the teachers and staff. The Family Picnic was a huge success thanks to Heather Knapp! Despite more rain, we had a great gathering of families in the Zervas cafeteria and gym. We’d like to acknowledge Wegman’s for donating the fruit and veggie trays and O’Hara’s Restaurant for giving us a special PTO rate for their delicious pizzas. Heather was ably assisted by Julius Starkman, Michelle Powers, Jackie Nazoliny, Ana Barros, Eileen Imada, Elisandra Lopes, Ken Danila, Jackie Washington, Anoush Mouradian, Karina Rodriguez, Katie Davenport, Kai Shanahan, Amy Behrens, Wendy Feiner, Youxiang Wang, and Daniela Mackinnon. Annie Ganot and Karen Kipman took the lead in running Class Photo Day like a well-oiled machine! Thanks also to the other parents who volunteered: Jacob Eidsmoe, Ruchi Bhatnagar, Kamryn Eddy, Wendy Feiner, Justine Mikulis, Marcia Matos, Valerie Graf, Erika Pond, and Taylor Lies. A big thank you to Julius Starkman for organizing the treats and coffee for the back to school Parent Coffees. He is pulling more than his weight as our Hospitality Team! Kindergarten Soccer, one of our largest PTO fundraisers, has a record number of players this fall. A huge thank you to Merrill Barnes, Lee Barnes, and Tara Karyanis for coordinating the program, Matt Feiner for ordering equipment, and thanks all the Zervas kindergarten parent coaches! Amy Behrens organized the Zervas Community Connections apple-picking on Sunday, September 23rd. Many families came out to get to know each other better while picking apples and enjoying cider donuts on a beautiful fall afternoon. Thanks, Amy. Thanks to Room Parent coordinator Freddy Hinck for organizing room parents this year, and Grade Parent coordinator Jungmee Youn for getting the grade social events off the ground. Lastly, thank you Lorna Dunne for the behind-the-scenes help producing our print and online school directory. This is a big job but it makes being well connected at Zervas possible. We have gotten a little behind on our Co-president letters. You know how that is, right? Anyway, we hope that you were able to attend at least one of the great events back in April. We have many volunteers to thank for all their hard work. Amanda Zurick helped kick off the month by organizing our first annual Family Movie Night. Families brought blankets to sit on in the cafetorium while snacking on popcorn and laughing at short films by Pixar. Thanks, Amanda, for persevering with this event after two snowstorms postponed it! In the same week, Cindy Kaplan, who is a Zervas parent as well as a Family Coach, led an insightful discussion at a Parent Coffee about setting boundaries with our children. I think we all came away with some great suggestions. Thanks, Cindy! Next up was Family Cultural Night, spearheaded by Amy Behrens and Katie Davenport. Chinese acrobat Li Liu wowed the audience, and families had a lot of fun mixing and mingling. Thank you also to Suzanne Chow, who organized the food and to all the families who brought side dishes to share. It was one of the most successful events of the year! The culminating event of the month was the Spring Fling, aka the Kentucky Zerby. A tremendous effort by Wendy Feiner, Mira Woods, Noemy Ehrlich, Cate Menon, Sera Miller, Becky Mozaffarian and Cheryl Hersh resulted in a fabulous night! The food and drinks were delicious, the decorations were beautiful, and the dancing was a blast. It was a great opportunity for the adults in the Zervas community to don some festive Derby gear and to get to know each other better. Thanks, Ladies, for all the work you did to throw a fantastic party. Thanks also to all the Zervas families who donated Community events, which raised approximately $16,000 for things like Creatives Arts and Sciences, Teacher Appreciation, and future family events. Looking ahead, this Friday, June 8th is the Volunteer Appreciation Breakfast put on by the teachers to thank all the Zervas parents for helping out this year. We invite everyone to come and be celebrated whether you cleaned up at one event or if you ran an entire committee. The Breakfast will run from 8:30-9:15 in the library followed by the PTO General Meeting, when we will nominate and elect Board members for next year. We hope to see you there. This year’s Family Picnic on June 13th will be a special one. As many of you have heard, our much loved Ms. Hadley, Administrative Assistant Extraordinaire, is retiring this year. We will take some time at the June picnic to thank her for all she has done for the students, parents, and teachers of Zervas over the years. Sign-up here if you can help at the event, which starts at 6:15. Please reach out to us to find out more about what the positions entail. Volunteering at Zervas is a wonderful way to really feel embedded in the community. I made some of my closest Zervas parent friends while working side by side with them at various events and on different committees. All right, who’s ready for spring?!? I can’t believe that it snowed on April 2nd. I am ready to see green instead of white. Speaking of green, we wanted to communicate some information about how the PTO raises and spends money. Please take a minute to read this as we know there are some misconceptions about the PTO’s fundraising efforts and spending. We are in the fortunate financial position this school year of having a brand new school with minimal needs as well as accumulated funds from several years of successful fundraising. So while it seems fiscally irresponsible to have a budget that allowed for spending almost twice as much as we aimed to fundraise, this will not become an on-going practice. It was suggested and approved at the PTO General Meeting on October 11, 2017, that the financial strategy for this academic school year was to spend available PTO funds while many of the families responsible for the fundraising are still at Zervas. We are on track to meet both expenses ($122,000) and revenues ($62,000). Going forward, the PTO will budget expenditures to match fundraising goals. Much of our funding goes to curricular support such as Creative Arts and Science, Understanding Our Differences, the CAP program, and teacher mini-grants. We were also able to fully fund monthly family events like Family Picnics, the Halloween dance, Game night, Cultural night, Movie night, and Dynamic Diversity nights — events which help make the Zervas community unique. This year we were also able to purchase classroom supplies for teachers and fund regular teacher appreciation events from meals in August, October, and December to monthly recognition for our teacher’s dedication spearheaded by Grade and Room Parents. 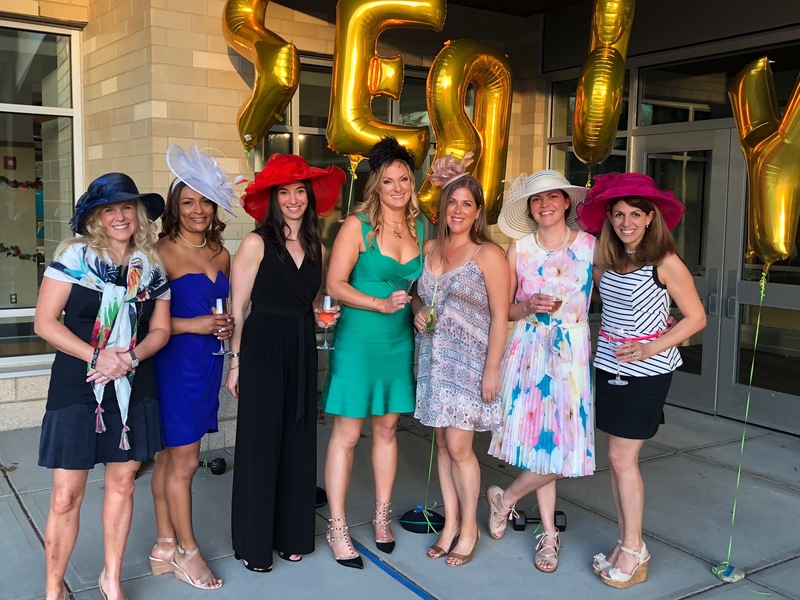 The major fundraisers of the PTO are Kindergarten Soccer ($27,000), the Teacher Raffle last December (which raised $3,000), the Zervas Online Auction in March (which raised $20,000) and the Community Events auctioned off at the Spring Fling on April 28 (with a goal to raise at least $14,000). Check out these pie charts for more information. Leading the way in raising funds for next school year was our Online Auction Team made up of Stephen Davenport, Jessica Davis, Craig Kapilow, and Justine Mikulis. They worked tirelessly to organize the logistics of the Online Auction. Helping them with soliciting donations were Kristen Beaupre, Sera Miller, Tara Karyanis and Tim D’Souza. The Zervas children, parents, and teachers send you all very sincere thanks! Amazing work. We have another great team working to raise both funds and fun at the first annual Spring Fling, aka the 2018 Kentucky Zerby. Get your tickets here for the Saturday, April 28th Zerby party, starting at 7 p.m. at Zervas. Usually an Auction party is the culminating event at the end of a week of online bidding. This year, that Auction party has been separated from most of the bidding and transformed into the Zerby, the themed party for this year’s Spring Fling. It will be a fabulous, adults-only party with a delicious dinner, festive drinks, a fun DJ, and opportunities to bid on Community Events like dinner parties and parents’ nights out, which are only available to the Zervas community. If you would like to offer up a Community Event for bid, please reach out to Wendy Feiner at wfeiner@gmail.com. Come reconnect with friends or make new ones. It will be a blast! There are three terrific Zervas events planned for the next two weeks. After two snow delays, Zervas Movie Night is finally here on Wednesday, April 4th from 6:30-8:00 p.m. Bring your dinner or eat before you come; popcorn and fruit snacks will be served. We will be showing Pixar shorts. Our next PTO Parent Coffee will be held on Friday, April 6th from 8:30-9:30 a.m. in the Zervas Cafetorium with Family Coach and Zervas parent Cindy Kaplan who will lead a discussion on What does it really mean to set clear boundaries with our children? Come learn the two essential ingredients to setting and holding effective boundaries with our kids and feeling good about it. Family Cultural Dinner is Wednesday, April 11th from 6:15-8:00 p.m. Join us as we celebrate the many unique cultures that make up the Zervas community with friends, food, and traditional Chinese acrobatics! Burritos will be provided by the PTO, and we hope you will also bring a side dish that represents your cultural heritage or a favorite dish for your family. Please bring serving utensils as well as a print out of ingredients. Water, plates, and eating utensils will be provided. Even if you can’t bring a side dish, we would love to see you! It’s an exciting week for Zervas! Our online Auction opened on Monday morning and will run through Sunday, March 11th. What does the money go towards, you ask? Well, it funds the PTO’s programming which helps to bring authors, artists, and scientists into the classroom through the Creative Arts and Sciences program. It funds teacher appreciation and professional development. It allows us to organize community events like Picnics, Game Night, Dynamic Diversity night and Movie Night. It also helps support Zervas families in need whether it’s a gift card at the holidays or financial assistance for a field trip. Please check out the wonderful items up for bid here: www.biddingforgood.com/zervas! Speaking of Family Movie Night, come join us next Wednesday, March 14th at 6:30 p.m. in the Zervas Cafetorium for popcorn and movie shorts. We are proactively rescheduling this due to tonight’s forecast. Kick back and relax with your kids for the evening. Feel free to bring a blanket or pillow to make yourself more comfortable. Last week was another great Dynamic Diversity night organized by Amy Behrens and Rashin Khosravibavandpouri. They worked very hard to put together an elementary age-appropriate program teaching about the experience of refugees. The kids were engaged by the speakers, games, and dancers. Thanks so much, Amy and Rashin. At the end of January, Peter Malagodi and Ginna Martin helped bring Eureka Toys to Zervas for another fun Game Night. Approximately 180 people came, spread around the cafetorium and played some serious games! It was exciting to see so many families enjoying an evening devoid of electronics. Thanks, Peter and Ginna. Looking ahead, book a sitter for Saturday, April 28th for the first annual Spring Fling, aka the 2018 Kentucky Zerby, starting at 7 p.m. at Zervas. Usually an Auction party is the culminating event at the end of a week of online bidding. This year, that Auction party has been separated from most of the bidding and transformed into the Zerby, the themed party for this year’s Spring Fling. It will be a fabulous, adults-only party with a delicious dinner, festive drinks, a fun DJ, and opportunities to bid on Community Events like dinner parties and playdates, events that are only available to the Zervas community. If you would like to offer up a Community Event for bid, please reach out to Wendy Feiner at wfeiner@gmail.com. Come reconnect with friends or make new ones. It should be a blast! Happy New Year! We hope you managed to have fun with family over the holidays and stay warm. What a frigid end of 2017 and beginning of 2018. And then two snow days! Hopefully the rest of January will be more kind to us. Our second annual Family Game Night will be held Wednesday, January 24th at 6:00 in the Zervas cafetorium. Pizza, veggies, and fruit will be served while Eureka!, a toy store in Brookline, sets up a ton of games for parents to play with their kids. They will also have games for purchase if you fall in love with one of the games you try. This is a great chance to unplug with your kids for the evening. If you have any questions, please reach out to Peter Malagodi or Ginna Martin who are helping to organize the evening. We’d like to thank all the Zervas families who donated books to the December Library Book Drive. A total of 54 books were purchased and dedicated to various teacher and staff members! Lou Bonegio and Becky Kinney deserve a huge thank you for organizing the book drive. Zervas families were also generous in donating to the Toys for Tots Toy drive. Amanda Zurick, our fearless leader who organized the toy drive, estimates that well over 100 toys were dropped off in the lobby. That’s amazing! BOKS is a before school exercise program that was piloted very successfully at Zervas this Fall. If you missed the Zmail announcement about the next session, please go to our website or you can go straight to register your child here by January 19 at midnight. The winter session will begin on February 9th and will be limited to 55 students. Thank you to Aimee Sprung for her vision and leadership in making BOKS a reality.